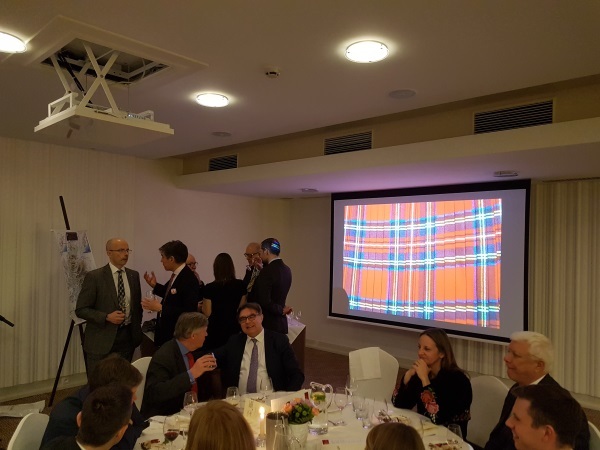 This year's event saw a return to the sit-down dinner format for a smaller, more intimate group, allowing for a greater focus on the life and works of Robbie Burns, while ensuring that all parts of this ceremony would be in keeping with long-standing traditions. 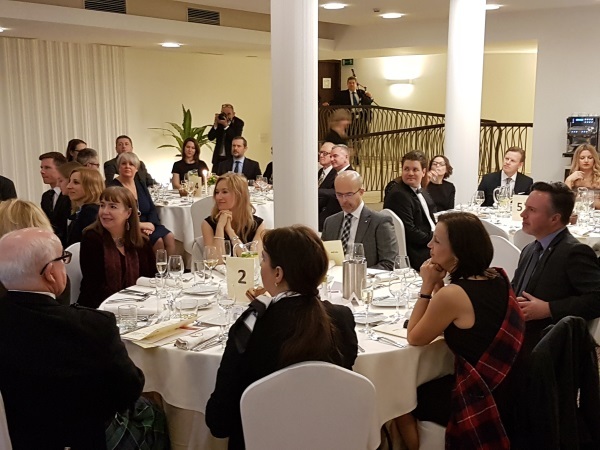 Held at the Mamaison Hotel Le Regina Warsaw, the formal supper in the presence of BPCC Honorary President HMA Jonathan Knott, board members, members and gues, was the first event marking the BPCC's 25th Silver Jubilee year in Warsaw. There will be more celebrations throughout 2017 across Poland and in the UK. 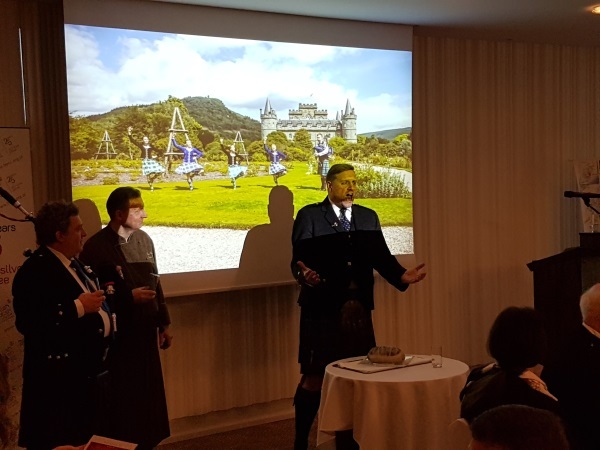 The evening began with a welcome drink – whisky or wine – accompanied by the sounds of Scotland, provided by master-piper Lindsay Davidson. 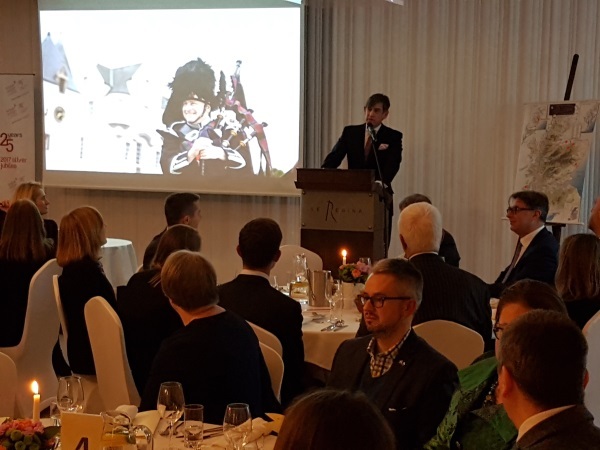 Guests moved to the dining room, where the evening's Master of Ceremonies, Martyn O'Reilly, set the tone for the supper, and BPCC vice-chairman Nicholas Richardson formally opened proceedings. The audience eagerly anticipated the Entry of the Haggis, preceded by Mr Davidson playing the bagpipes. 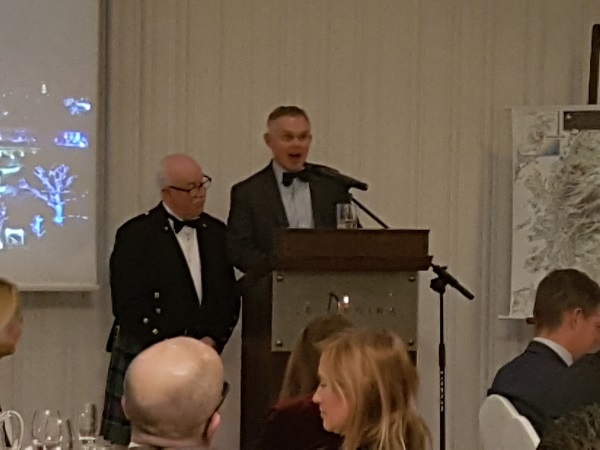 As always, the Haggis itself is addressed before being served, with Burns' Ode to the Haggis being declaimed by Ian Leyden. 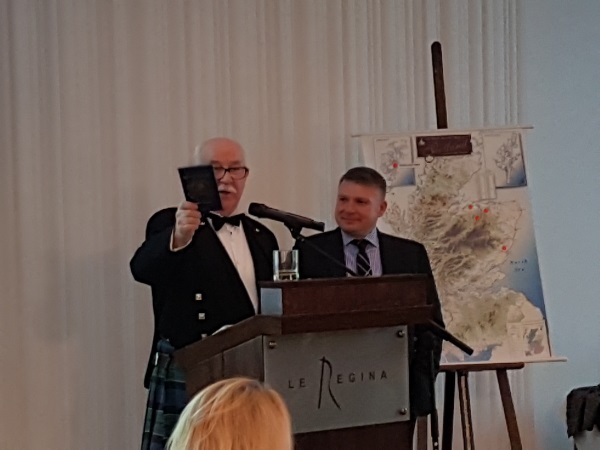 Her Majesty's Ambassador, Jonathan Knott, recited the Selkirk Grace in Scots and in Polish, before the diners sat down to eat the haggis, specially prepared by the head chef at the Hotel Le Regina. This was followed by Cullin Skink, a Scottish haddock and vegetable soup, and the main course – duck. 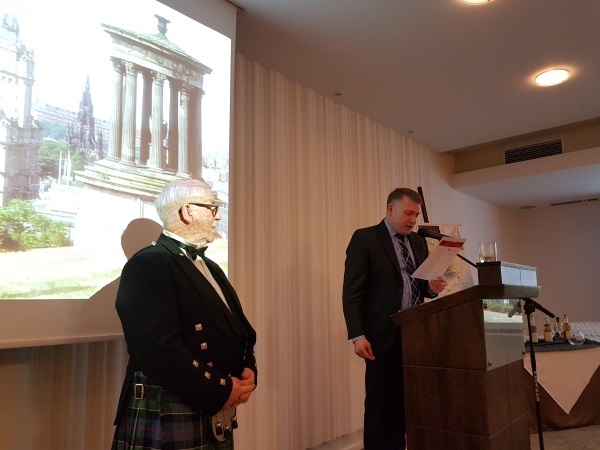 Mr O'Reilly announced the part of the evening dedicated to Burns' life and works. Lawrence Fahrenholz read the Ode to a Mouse, while David Kennedy read Ode to a Louse – in a Polish translation. The BPCC's CEO, Paweł Siwecki, read My Love is like a Red, Red, Rose, in the original, and in its Polish translation. The poems, explained Mr O'Reilly, show how Burn's source of inspiration were the universal themes of human life. 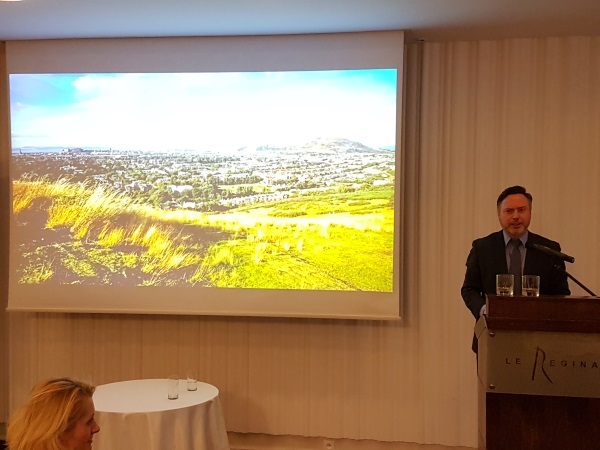 Alyn Smith, member of the European parliament for Scotland, delivered the traditional Toast to the Lassies, along with some pithy political observations. 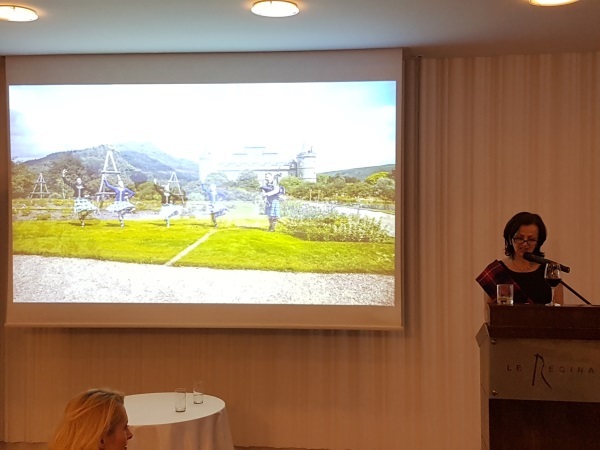 The Reply on Behalf of the Lassies was delivered by Olga Grygier-Siddons. Before the final toast, to the Immortal Memory of Robert Burns, Mr O'Reilly sang A Man's a Man for a'That, an expression of the Bard's egalitarian views. With the Jubilee celebrations now under way, having opened in Warsaw and in London, look out for policy group meetings and sector-focused events and activities near you.